Hi and welcome back. 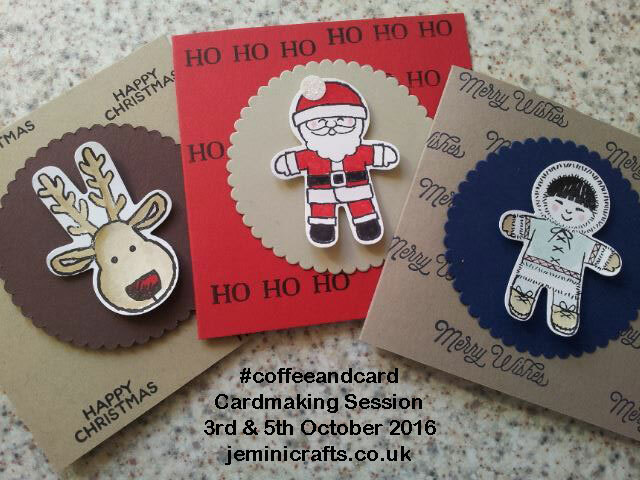 This week's #coffeeandcard is mostly Christmas themed as we are using the cute "Cookie Cutter Christmas" stamp set; although there is also a very sweet bear in the set which would make a lovely welcome baby card. 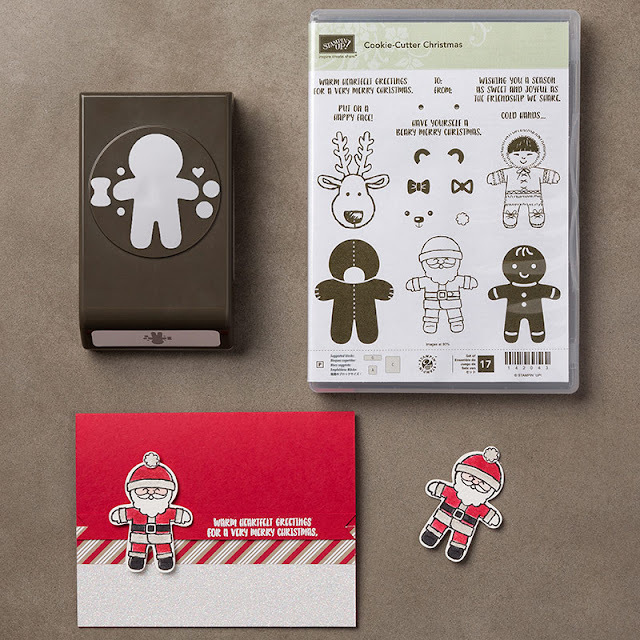 This set has a matching punch, making it so easy to whip up these cards in no time.To speed things up we are stamping on the background card - perfect if you have no designer paper to hand! 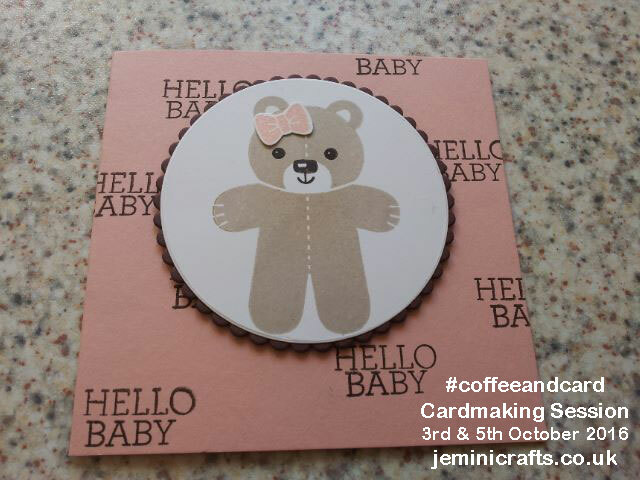 Below is the baby card - although after I photographed it, I decided to add a little dress to the bear - watch out for that in the next posting - so cute! Below is the set the characters are taken from, available at a discounted price when you buy the stamp set AND the punch together. Just CLICK on the image for details. I will have PLENTY of samples to share with you later this week, so please do pop back.